The definition behind DJ Def Rok’s moniker is ‘Definitely Rok’ – something he guarantees with every set he graces. Whether it be RnB/ Hip Hop or a high energy House set, DJ Def Rok is commander of the turntables and master of the crowd. With a career that has seen him charter the sometime turbulent waters of the DJ world, Def Rok has remained steadfast and true to his style and form, always delivering fresh and inspiring sets that pay homage to the genres he respects and knows like the back of his hand. Having started his career when he was just 14 years of age as a hobby that would see him scouring the crates at record stores for hours, building up his collection and passion for the wheels of steel, it wasn’t until Def Rok turned 19 that hobby turned into destiny and with an injury that prevented him from playing his beloved football, all energy was poured into the birth of DJ Def Rok. They say everything happens for a reason and Def Rok was a reason meant to happen. From early on he possessed a knack for capturing the crowd’s attention and keeping them there until his last record was spun. With his first gig being for RnB Superclub back in 2002, you could say Def Rok was in the right breeding ground for creating stellar DJ’s that could stand the test of time. 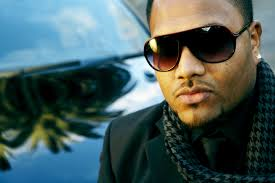 He quickly gained notoriety as being the DJ on the rise and went on to headline eight volumes of the uber successful RnB Superclub compilation series released through Warner and now Sony Music. 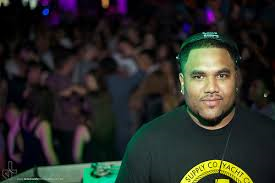 Adding tour DJ to his resume, Def Rok has toured the country spinning tracks for the likes of Next, Boyz II Men, Kelis, Ice Cube and more, creating that signature DJ Def Rok party ambience he is known for. As my peer and an inspiration to my own career as a DJ, it is always a pleasure to learn and share the journeys of our amazing DJ’s on the home front. 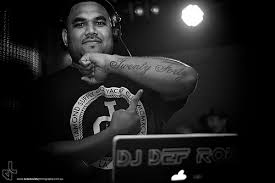 DJ Def Rok has always remained the same humble, down to earth, hardworking and on trend DJ that is booked consistently across the country for his incredible skill, playlist and above all positivity, passion and ethic. His story is inspiring and his drive relentless as he maintains the position as one of Sydney’s beloved masters of the turntable! Hey Roko what’s happening? Long overdue conversation this ….. Happy to finally write on DJ Def Rok though – how has life been treating you? Hey Maxine, I’m very well. Life is pretty hectic at the moment. I’m in the middle of a national CD tour at the moment. 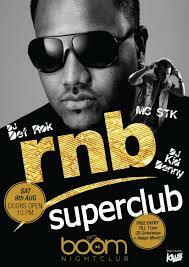 I have been launching my new CD release – RNB Superclub – Future R&B Vs Urban Anthems (Out through Sony Music) – at various clubs all over the nation. It was released in November and I will be touring it over the summer party season. So look out for me when I’m in your town. You have been a hip hop DJ in this Sydney community for well over a decade, building a very successful career for yourself in the meantime. How has the journey been for you and what do you think has been the biggest lesson you have learnt about the DJ business? The journey has been amazing. I’m a guy who loves the whole art form of DJ’ing in Hip Hop culture. From an early age I fell in love with the whole turntablism aspect of DJ’ing. I’ve never looked back from that stage. It has been a progression from practicing in my back shed at my parent’s house in Leichhardt to playing every major club in Australia. I’ve enjoyed every step of it too. I love the fact that I get paid doing what I love. I’m very blessed in that sense, And I never take it for granted. The biggest lesson I’ve learnt to be successful in this business is to have a genuine love for what you do. From setting up your set, to delivering it live in the club, your passion and love for what you do will shine through and everyone from the promoter to the party patrons will acknowledge it. That’s what will set you apart from the next DJ. What was your greatest motivation to becoming a DJ and who inspired you to perfect your craft and pursue your dreams? Back in 93, When I was around 12, An older guy that used to hang out around the neighbourhood gave me a video tape and he told me to watch it if I liked Hip Hop & Rap. It was a DJ battle from around 92 in New York. I think it was the old Supermen DJ battles. I was blown away by what they were doing with the vinyl & the turntables. I was hooked. The battle on the video was between Mix Master Mike & DJ 8ball. It was my main inspiration in me wanting to be a DJ. I pretty much watched that video everyday for a whole year. I wanted to do what they were doing. I actually started collecting vinyl after that. My mate never got the video back too lol. I really looked up to DJ’s like Jazzy Jeff, Premier, Cash Money, A-Trak & QBert. 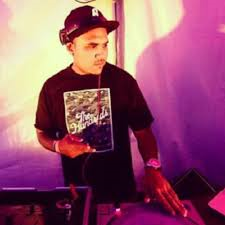 What do you believe is the DJ’s biggest role in Hip Hop and what do you see your role as being in the urban music community in Australia? The DJ is as important to Hip Hop as the MC, If not more important. We are the Heartbeat and backbone of Hip Hop. Without the DJ the MC will be Spitting over a flat line, so as a DJ you have to keep the music & the culture alive. I see my role in the urban music community as being a big one. I get to travel to so many different areas & venues across Australia and I get booked to play Hip Hop and R&B. Everywhere I go there is place and market for Hip Hop and R&B and I see myself and other touring urban DJ’s as the main pushing force for urban music all over the country. From the nightclubs to the compilation CD’s / Mixtapes It’s very important for urban music to keep pushing through to the mainstream, because there is a place for it everywhere. What do you love about being a DJ and how do you maintain consistency and relevance in an industry and music genre that keeps changing? I Love everything about it. From the moment I wake up I live the whole musical culture. I can’t live without music, its like breathing for me. I Love the fact that I can control someone’s emotion with my musical selection. You can make people feel happy just by delivering a song for them to groove too. To me that’s very powerful. I’ve seen so many changes in the industry and I have realised you have to move with the times to be relevant. If you don’t you will be left behind. Trends usually change every 2 years and I have had to adapt to stay relevant as a DJ. Back in the day I used to rely on Magazine’s such as Vibe, Source & 3D World, lol especially the Ms. Hennessey Column (wink wink) for my weekly music news. But now it’s all about the internet, Blogs and Social media. I can’t go a day without checking the latest Trends and Urban topics. When did you first fall in love with hip hop? Man, The greatest question of all. It would have had to been in the early 90’s when the only way I could hear hip hop was on the local community radio stations late at night. I used to record all the tracks on to tapes on my little $2 ghetto blaster. These tapes where my biggest musical influences back then. Before school and after school I would listen to these tapes that I had recorded. Artists like Run DMC, Eric B & Rakim, Ice T, NWA & Naughty By Nature where my 1st influences in Rap & Hip Hop. Those little old school tapes where my first love. They were like gold lol. I think DJ’ing is in a great time. Technology has made the DJ art form so accessible to everyone. But even though it can make anyone a DJ, It can make a good DJ Superman. The potential is endless. I can do so many things I couldn’t even imagine of doing with straight vinyl, like flipping accapellas and instrumentals at flick of a button. It is so crazy now. It took me a while to embrace it, because I was such a vinyl purist. But I had to convert to the dark side lol. What are your current projects / mixtapes etc.? Where can people catch you spinning these days?